The clerk looks terrified now, but at least he's stopped asking us to look for papers. 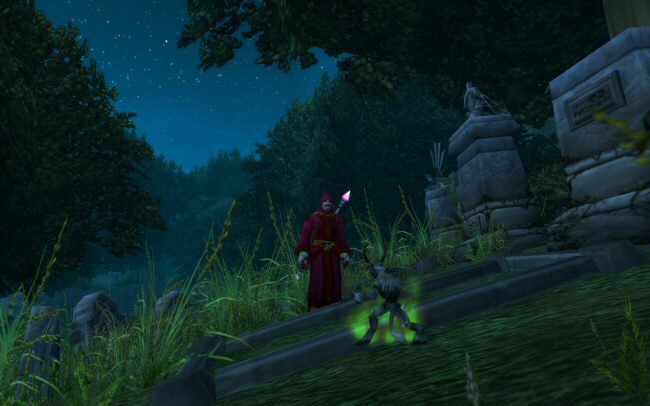 Norman continues, "Think about this: You were so afraid of the worgen. You thought they were so badass. Well I killed them. Alone. I'm more dangerous than all of them combined, and I'm pissed off. At you. At your filing system. At the people you work for. At your whole stupid town. And now think about this: I'm going to get my revenge on ..."
Suddenly he stops. He suddenly realizes what he's saying and doing. Norman looks down at me in horror. Then he runs out of the room, crying. "Easy there, boss," I tell him. It's a half hour later and we're sitting in the graveyard just outside of town. "Getting rid of that last little shred of hope is always the hardest part. You're better off now." "But that's it. There's nobody left to help. Nobody that isn't going to sabotage my efforts to help them. Nobody that deserves help. I'm a failure. Just like mother said," he trails off and starts blubbering again. "But she was wrong. You're good at one thing. You're good at killing." "That doesn't help. Who cares if I'm good at killing?" "It's a good skill to have if you decide to turn evil." "It's no good," he blubbers. "I don't know how to be evil." "Norman, you don't understand. The power to be evil has been inside of you all along." He wipes his nose on the back of his sleeve, "Really?" "You can do it! You just have to believe in yourself." "I don't know," he sniffs. "Where would I start?" "Look inside your heart. You know where to begin." His face clears. A sense of understanding overcomes him, and he looks out towards the town as if seeing clearly for the first time, "Yes. I see now! I should kill all of these stupid assholes that have gotten in my way!" "You're doing it! I knew you had it in you!" I cheer. 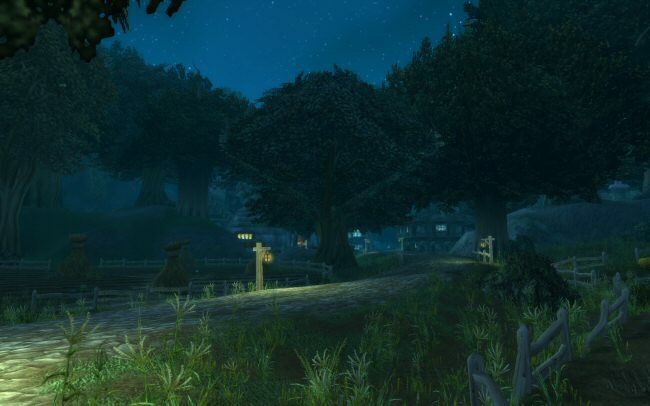 He looks wide-eyed at the town and the surrounding countryside, "It's not even my fault, really. They brought this on themselves. All of them. They deserve to burn." He pauses for a few moments, "Oh, but what about mother? When she finds out ..."
"Steady, boss. Yes, she's gonna be mad. She will certainly try to stop you. Might even try to kill you. But for once, she's going to have to respect you." Norman looks down at me, "I guess this is it, then? Now that I've turned evil you'll be leaving?" "Don't be ridiculous. I wouldn't miss this for anything. Look, a deal is a deal. I'm all yours, for the rest of your life." "Of course, after that, you're all mine. A deal's a deal, remember?" "Yeah," he says nervously. "Well, I guess we'd better make this count." "Sure. And it won't be so bad. When we get to the infernal realms I'll take you to a nice spot where I like to go skiing." "Let's do this!" Norman says. 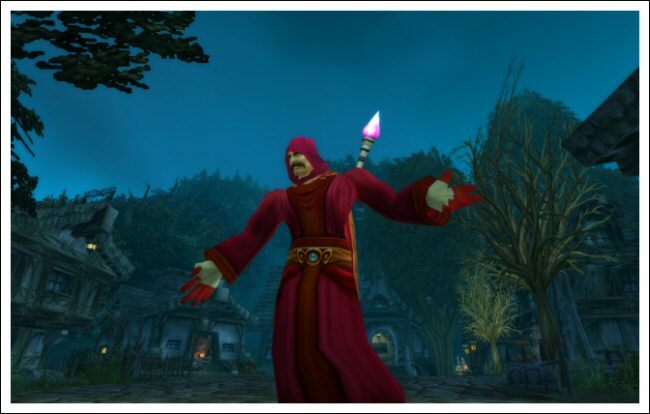 Norman Lightbringer changed his name to "Blightbringer" and founded the cult called "Avenging Legion of Vengeance Cult". 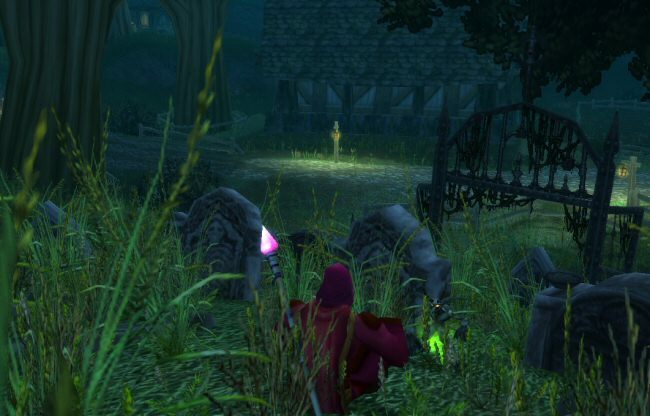 They built a lair and ran attacks against the regions surrounding Stormwind. Their long-term goal is to become enough of a menace that their hideout will become a 5-man raid.